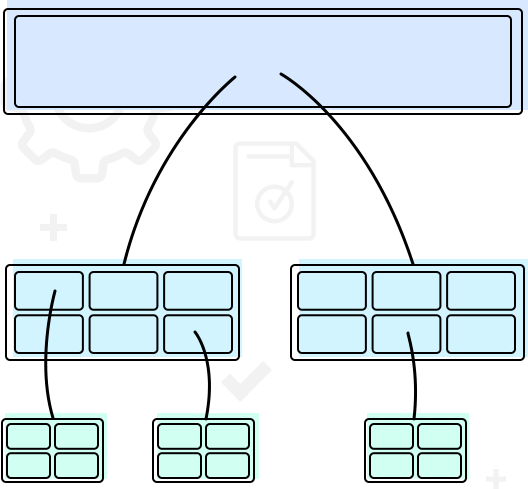 Map and Trace the design control relationships for your medical device. Map requirements to test cases. Map test cases to requirements. Verify each test case is completed. Organize, connect, trace and manage your design controls throughout the life-cycle. it is also the cornerstone of our Life-cycle process. 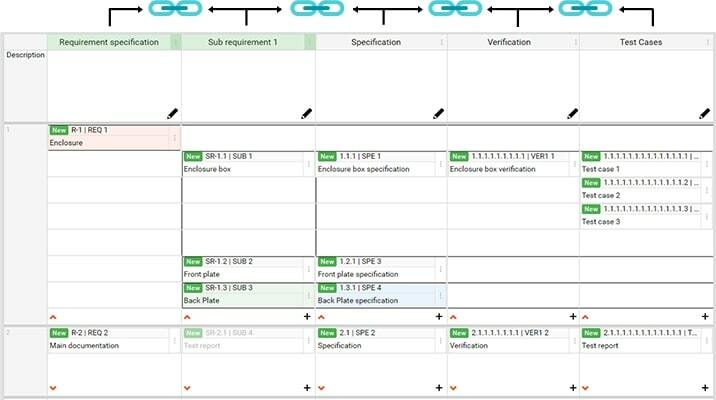 Trace the relationships between requirements through the different stages of development and prove they have been successfully addressed. 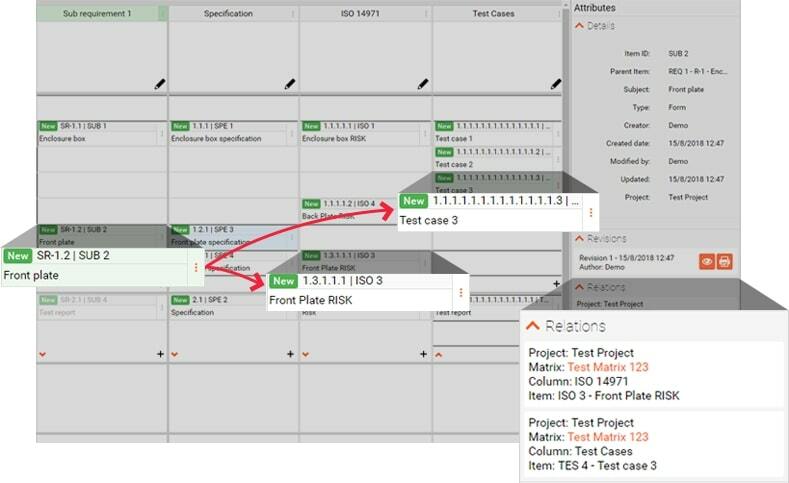 Trace each requirement back to its original functionality and their testing. Trace each requirement to the device version history. Track design changes and understand their impact on other changes and their relationships to the project. 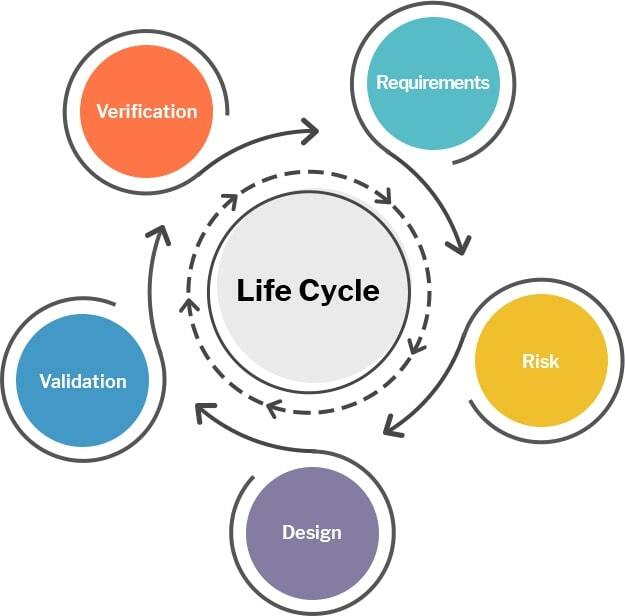 Manage the project design control process through the life-cycle. 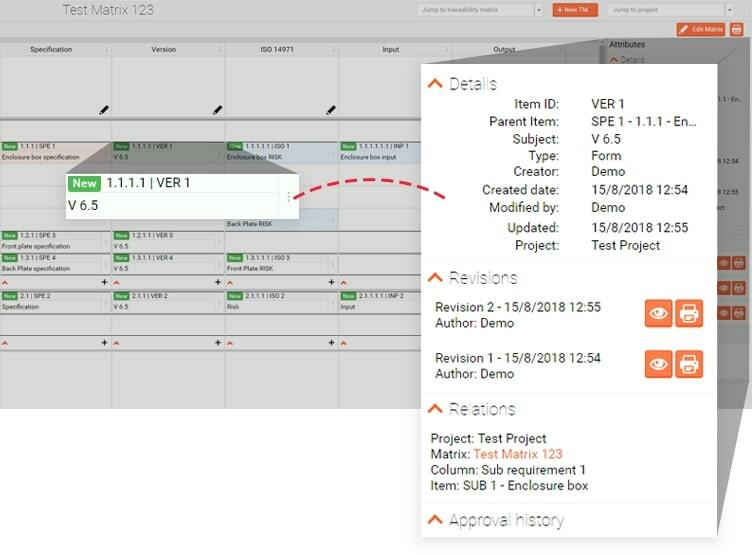 Manage the CE Technical Files inputs and your FDA Design History inputs, managing the relationship between QMS, project management, and your team. With TM you can track and trace all the relationships between the requirements in your project and to be sure and confident that your submission is ready. You’ll never start another device project without it again. Traceability Matrix my starting point. Export into a print-ready format for your FDA submission - it is your DHF. The cornerstone to your Life-Cycle processes.